Say hello to Lucky! 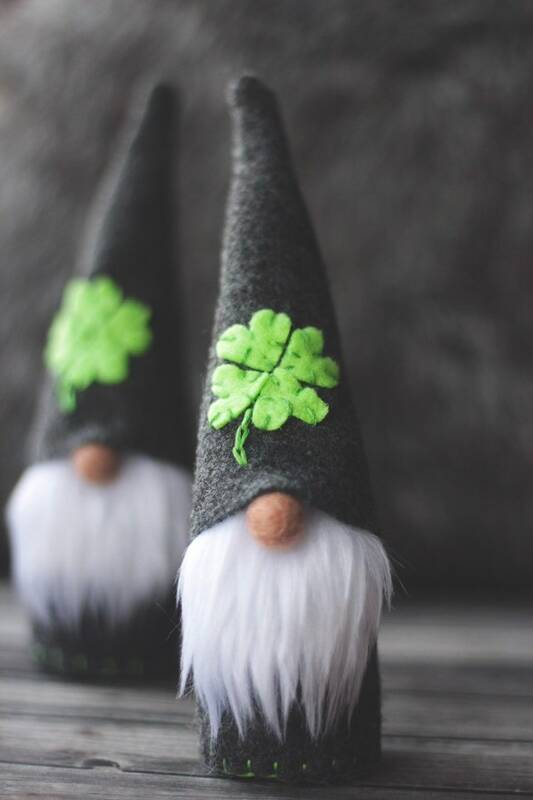 Bright green shamrock is individually cut and sewn on a charcoal gray hat with matching felt body and white beard. 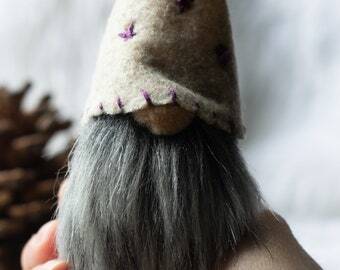 This gnome stands about 7 inches tall. 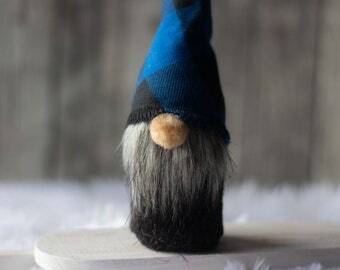 The purchase of this listing will be shipped VIA Canada Post. Buy more than 2 you'll automatically be upgraded to tracking. Shipping upgrades are available at checkout. 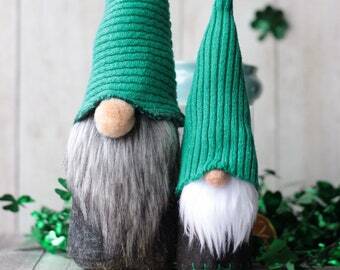 I LOVE the Irish gnomes! Great craftsmanship! !